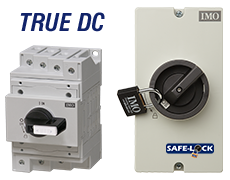 IMO's range of TRUE DC isolators have been specifically manufactured to ensure the safe and effective isolation of DC voltages within all kinds of solar panels and installations. These high-end DC isolators are fully certified and are developed to UL standards, resulting in the creation of an internal switch which allows for the product to operate with the least wire connections possible. IMO's SI range have a switching speed that is independent of the operator, that is the IMO mechanism is such that there is no direct linkage between the operator handle and the switch contacts, making for a safer disconnect with no risk of fire. The next evolution in TRUE DC isolation is now here. The SI range is now complimented by the SIM (Mini Solar Isolator). A smaller and more compact version of the market-leading SI range, with greater switching capacity, extended mounting options and a lower cost make the SIM range an ideal choice for OEMs, and offers the same level of safety and assurance that SI customers have enjoyed for years. 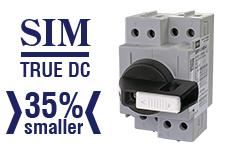 The SIM range is also just as capable as the SI range when it comes to managing electrical arcing created by DC load switching, ensuring that any arcs are extinguished in <5ms. 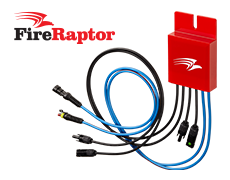 The FireRaptor is a solar panel rapid shutdown solution which provides 3 forms of emergency rapid shutdown to ZERO VOLTS. It offers a manual shutdown using a "one push" button, which can be conveniently located anywhere for emergency access. It also offers an automatic emergency shutdown if it detects an ambient temperature in excess of 85ºC (185ºF) and an automatic shutdown if there is a disconnection of the external AC power supply. Safety is the primary feature, and peace of mind is the secondary feature as this product is offered with a 20 year manufacturer warranty. 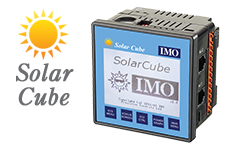 The IMO Solar Cube is an off-the-shelf precision solar tracking solution. Developed as a ground breaking, easy to set up solar tracker and measurement controller with the flexibility to adapt to any installation, the Solar Cube tracks the sun's movement and provides optimum panel (or array) positioning. The Solar Cube calculates the 'zenith angle' and the 'azimuth angle' to specify the position of the sun in the sky to within 0.01º. 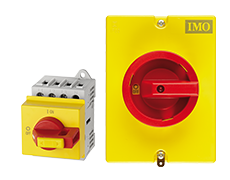 IMO's range of AC Isolators are available in a range of mounting options including Enclosed, Base Mount, Direct Handle Base Mounted and Front Panel Mount, and are available in a variety of pole configurations to be used in stand-alone grids or network distributed systems. All IMO AC Isolators are UL approved and are constructed from the same high quality materials that our market-leading SI range are renowned for. All IMO isolators are capable of being installed in areas where high ambient temperatures of up to +45ºC can be found. IMO's range of PV rated DIN Rail Terminals (PV Terminal Blocks) are 1000V rated up to 232 amps, and are constructed from UL94-V0 materials for optimum safety and fire-retardance. The whole range carry UR approval and offer up to 95mm² wiring capacity. 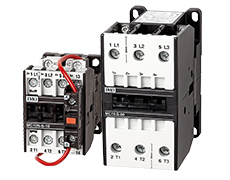 From our extensive range of Panel products, IMO's AC & DC Contactors offer rating up to 450A. Regular switching requirements are more than adequately handled by our proven "Standard" 3 or 4 pole devices, while dedicated designs are available for switching DC loads (PV applications, Capacitor/Battery banks) and low current loads (LED lighting, vehicles etc.). 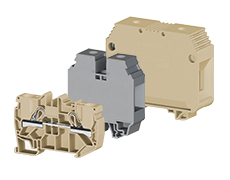 Isn't it time you switched to IMO Contactors?